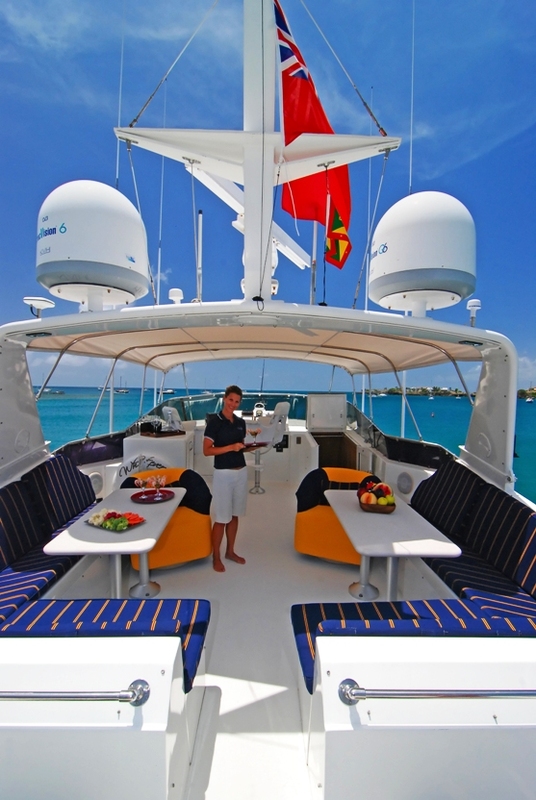 Crewed motor yacht WHATEVER is a 70ft Hatteras available from Grenada for St Vincent and the Grenadines charters. Recently refitted in 2009, this stunning yacht is a perfect option for those on a budget. 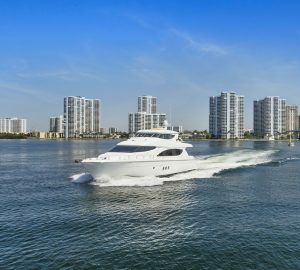 There are not many small power boat options in this southern area of the Caribbean and WHATEVER is a really nice option for those looking for a power yacht at an affordable price and without huge delivery fees. WHATEVER's 2009 refurbishment included the salon, the three bedrooms, the galley and the upper and aft decks. No expense has been spared to ensure guests can relax in ultimate comfort with Sferra sheets and Pacific Coast ® Baffle Channel Euro Rest Feather Bed in the master (the same feather beds used at the Ritz Carltons in their high end suites). Even the leather armchair in the living room is a Zero-Gravity electric armchair removing all the body’s pressure points. With three guest cabins including a king in the master suite and two queen beds in the guest rooms, WHATEVER is comfortable for up to six guests. WHATEVER welcomes babies and children and can be outfitted to suit all and any needs. 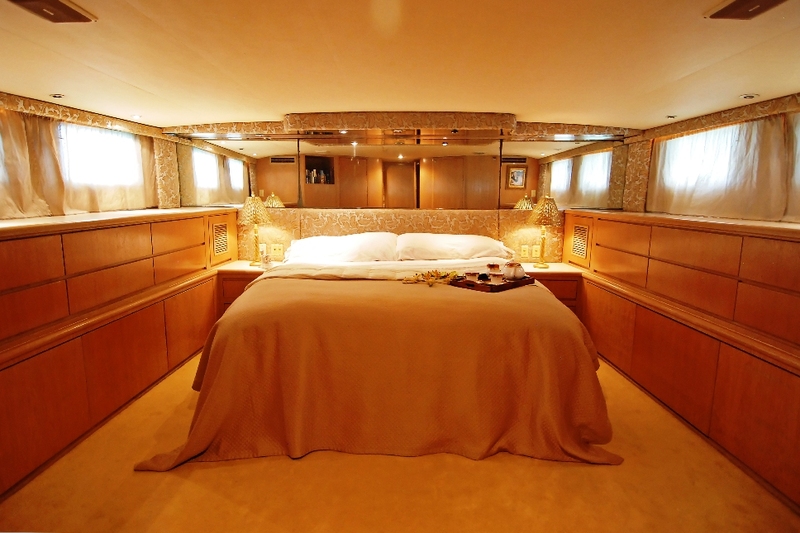 Luxury Motor yacht, WHATEVER, has a lovely bright yet warm interior with neutral soft furnishings. 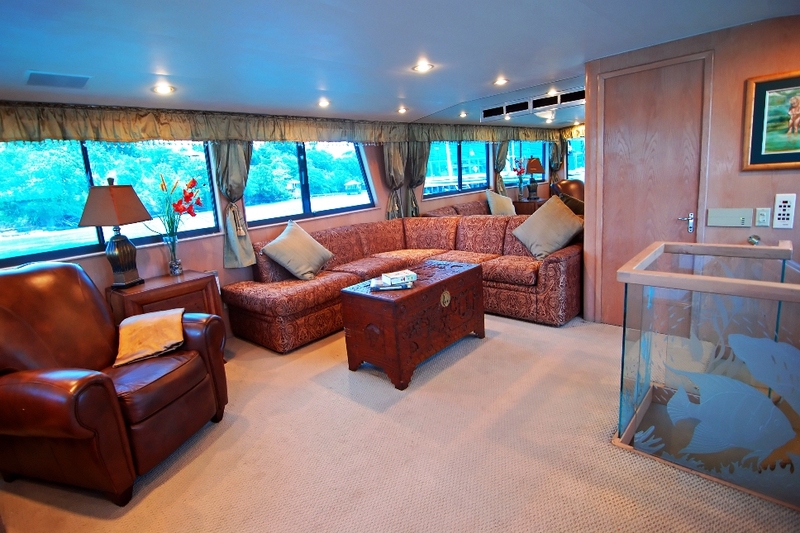 Her main saloon features a large flat screen high definition TV, Direct Satellite Service with over 200 channels, a DVD library and a surround sound entertainment system throughout the yacht. A perfect atmosphere for relaxing in the evenings or to cool off during the day should the Caribbean sun get too much for you. 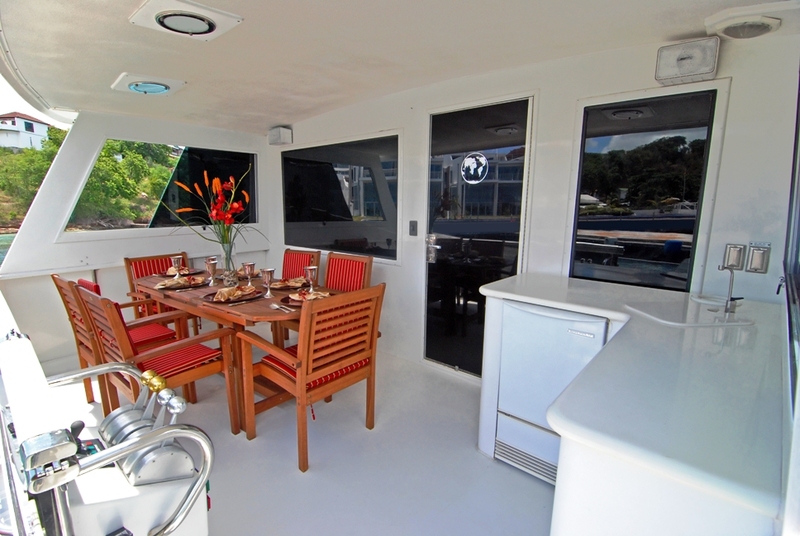 The aft deck has fine dining for up to six guests and is a favorite place to enjoy an exquisite banquet while taking in the panoramic Caribbean view. 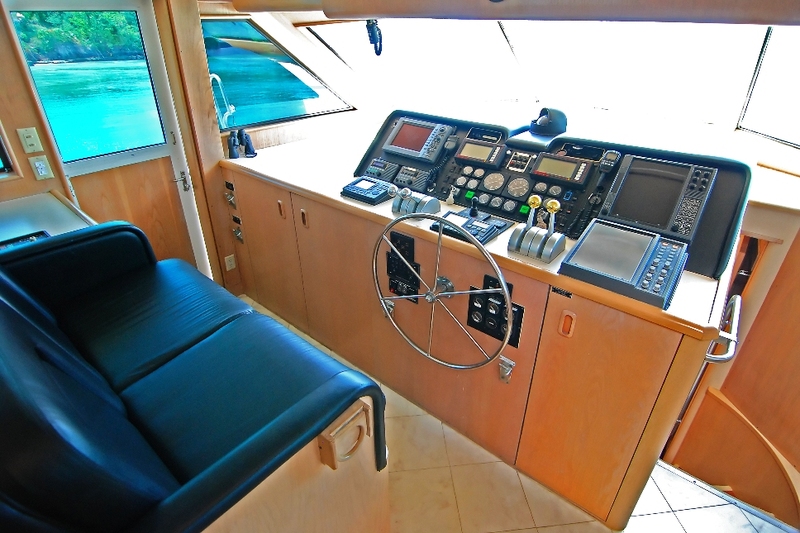 Her foredeck area has seating as well as a huge sunbed for those that wish to work on their tan. The bridge deck offers further seating and tables to enjoy alfresco meals and elaborate cocktails in the afternoon hours. 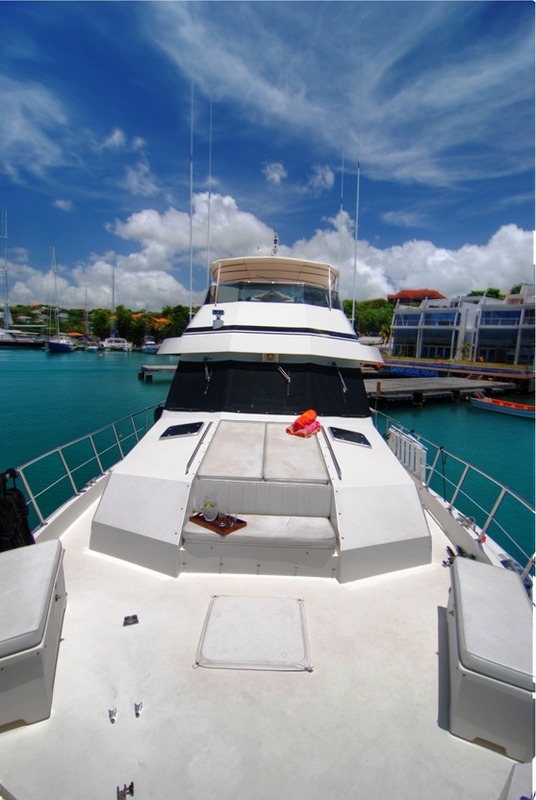 WHATEVER is based in Grenada year round and specializes in charters in the Grenadines. 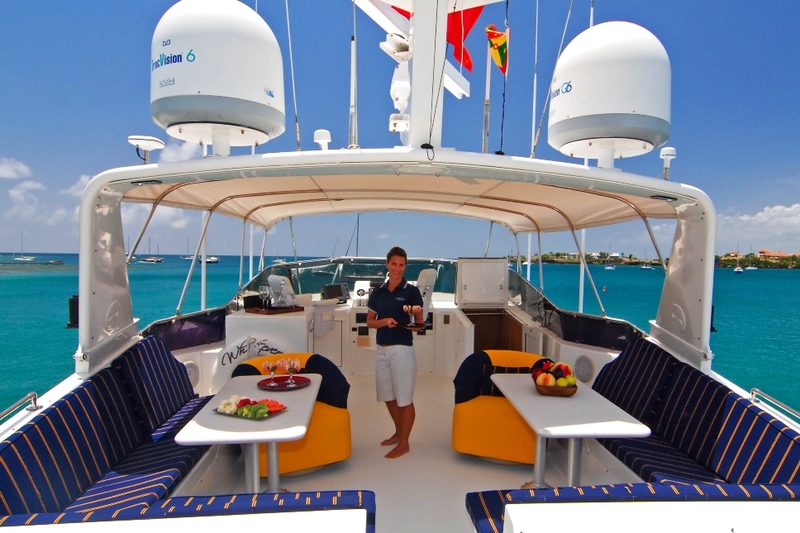 She wishes to cater to her clients and will consider any charter even as far north as St. Lucia. Whatever crew consists of two capable and courteous professionals, who are on hand to guide you through your charter safely and comfortably as well as ensure that you have a vacation that is unbelievably unforgettable. 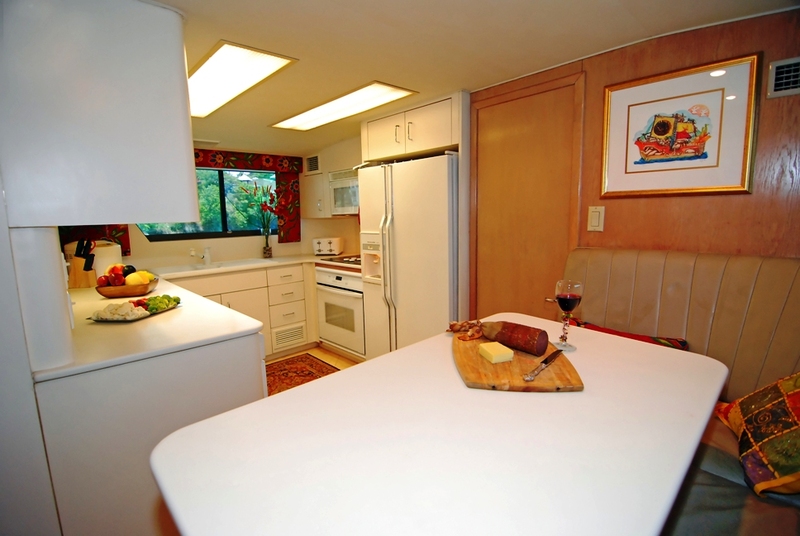 Motor Yacht WHATEVER is available with a Captain Only or fully crewed with a Captain and Chef/Stew team. WHATEVER features three staterooms including a master suite and two queen guest cabins. 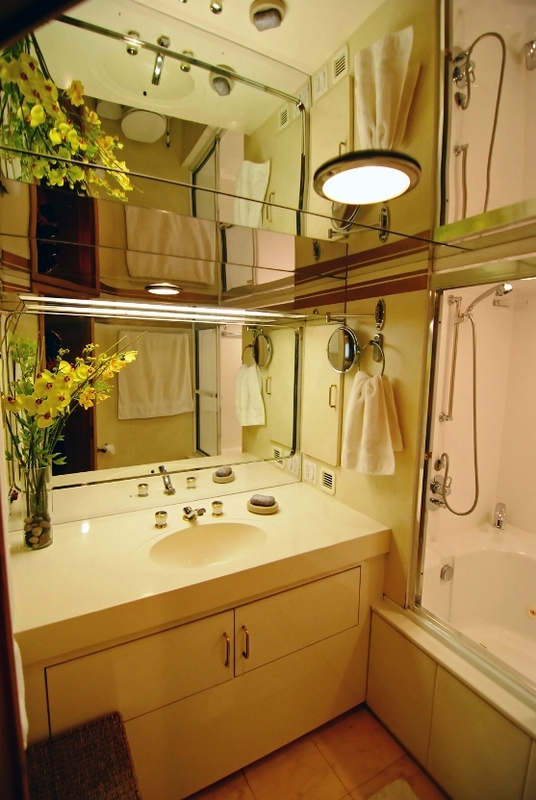 All guest cabins feature a private ensuite bathroom. During the refit in 2009 all soft furnishings were replaced so the cabins have new linen, backboards and drapery throughout. WHATEVER has a tender with 60HP outboard engine. She has snorkeling equipment, fishing equipment and lots of blow up toys for small children.